What products does Pass-Guaranteed.com offer? What exactly is in your Practice Exam Questions and Testing Engine Format? Do all your Practice Exam Test Questions include explanations? Are your Practice Exams Updates FREE? How often are your Practice Exams Updated? How do I know that there has been an update to any of your Practice Exams? How do I receive my Practice Exam that I have just purchased? How do I receive updates? Your Certification Practice Exams sound interesting, but I'd like to try before I buy. Do you have any demos? Is ordering using Credit Cards secure? Do I receive a receipt after I have made my purchase? I am hesitant about purchasing online. How secure is your site? Do you share your customer information database with any third parties? Live Chat Customer Support and Email Response Time? Does The Testing Engine Software Work on a MAC. Yes IT Does. - Q&A with Explanations and Question And Answers in PDF format so you can print our practice exam(s) & Testing Engine Format. You just need to view the specific exam details to see if this is in Question and Answer format or Question With Explanations Format. We also offer study guides and lab scenarios only for specific products. Check the exam details on the exam page to see if we offer study guides and lab scenarios. All of our Practice Exam Questions are designed to ensure that you have the required theoretical and practical knowledge, as well as the skills to pass the exams on Your First Try!!! They consist of questions and answers, some products also have answers and detailed explanations of all the core concepts you will be tested on during your certification exam. Check the exam page detials to see weather the product has just questions and answers or questions and answers with explanations. Please Note: The Testing Engine does not run on a MAC but you can run the testing engine on a MAC with a Windows Simulator in which you can download on the internet for FREE. Do all your Practice Exams include explanations? Pass-Guaranteed is working hard to add explanations to all our Practice Exams that don't yet have them. Most of our popular practice exams already have them. To determine if a practice exam has explanations, simply go to that individual product page and check the product exam details. The details will be Questions & Answers or Q & A With Explanations! Are your Practice Exam Updates FREE? YES! Pass-Guaranteed practice exam updates are available for 180 days after your purchase date. For our Discounted Bundles Request: You have access for up to 1 year of updates for any discounted Custom Bundle purchased. Our Practice Exams are reviewed and updated on a continuous basis. The certification exam vendors often change the core concepts and principles being tested in the exams, so we frequently change our Practice Exams to accurately reflect the current certification exam objectives. Updates to our pdf and testing engine software don't always mean that extra practice questions were added. An update can mean that diagrams were improved, testing engine software was updated to reflect our pdf format or edits were made to both the pdf and testing engine. Sign Up to become a member with Pass-Guaranteed.com and receive an email when an update is done to any exam you have purchased. Check the product level page of the exam number to see when the exam was last updated. It will display in red on the product page the date when the exam was last updated. Your order is instant after purchase. You will receive your order instantly right after purchase. You will be able to download your order right after your purchase in your members area. Your members area is the email address you used to sign-up with Pass-Guaranteed.com. You have to be logged in your members area in order to purchase any product from Pass-Guaranteed.com. Please use the same email on your order form as your members area email so that your order will instantly be put in your members area after purchase. The password for your pdf file is located in your members area beside your download link. To become a member of Pass-Guaranteed.com, you can sign-up for FREE. You can Sign Up Here. How do I receive my updates? All you have to do to receive your updates is login to your Members Area. Click on the download link and it will automatically download the latest version of your product if there was was any update. If you download the same version as you have downloaded before, then there was no update. To check if there has been an update to your exam(s), check the product page where it displays when the exam was last updated. The last updated date will be in red! Yes, we offer demos for 95% of all our products. You can view a demo for any exam by visiting the exam product page and clicking on the Download Demo Button. We offer demos so that our customers are able to check the quality of our products. 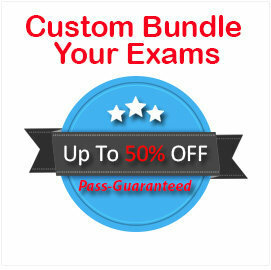 You will notice the quality that goes into each certification training practice exam Pass-Guaranteed.com prepares. Note ** You will need the most recent version of Adobe Acrobat Reader to view these files in pdf format. Yes, using your credit card is secure when you're ordering online thru www.Pass-Guaranteed com. 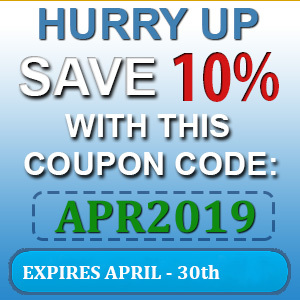 We utilize a 100% Secure Online Ordering System from www.PayPal.com using 128 Bit Secure Sockets Layer (SSL) software which is the industry standard and among the best software	available today for secure online commerce transactions. Pass-Guaranteed also uses www.SWREG.org for phone, fax, check and bank wire transfers. If you prefer to phone and make your purchase using SWREG, you can feel safe because SWREG is a trusted merchant. SWREG is on the London Stock Exchange. Paypal and SWREG encrypts all of your personal information, including credit card number, name, and address, so that it cannot be accessed as information travels over the Internet. Pass-Guaranteed does not directly process your payment so we cannot have your credit card number in any way. If you made a purchase by phone, fax, credit card using SWREG. DR*SWREG cardquery.com will appear on your Credit Card Statement. Yes, you receive an order confirmation e-mail for every purchase. The order confirmation e-mail is your receipt. When you make your purchase using Paypal, you will receive a transaction id or receipt id from Paypal about your purchase. If you purchased using SWREG, you will receive an order number that is your receipt. If you need a custom receipt for work, you can Contact Us and we will provide you a custom receipt for your boss or taxes. Yes, we urge you should keep the receipt number or order number in case you need to reference your order with Pass-Guaranteed.com. I am hesitant about buying things online. How secure is your site? Security of our customer's confidential information is of utmost importance to us. We therefore use trusted 128 Bit Secure SSL credit card processors, PayPal.com and SWREG. We also accept payment by phone, fax, check and bank wire transfer using the payment merchant SWREG. SWREG is on the London Stock Exchange, so you can also feel safe ordering over the phone with SWREG. All of your credit card information is processed through them on their 128 Bit Secure network. We never see any of your Credit Card information and confidential information about you is never stored. We also have Mcaffe Secure on Pass-Guaranteed.com that validates our security. At Pass-Guaranteed we hate spam mail as much as you do, and we respect your right to privacy. Therefore we will never share any information about our customers with a third-party. The only email you will receive will come from us. For information regarding Pass-Guaranteed Money Back Guarantee, please visit our Guarantee Page (Please note any fake reports submitted you will not get a reply back and will be blacklisted from the website. Picture must be visible and registration id visible. Please also note transcripts will be kept on file. Live Chat Customer Support and Email Response Times? If 10 or more people are on live chat at one time and you stay on for longer then 10 mintues it will go to email support as our representatives are busy with other customers. Usually we get back to you via email support within 1 to 3 hours time but sometimes it can take up to 24 hours. We usually get back within 3 hours from when the email is sent.. Does The Testing Engine Software Work on a MAC?